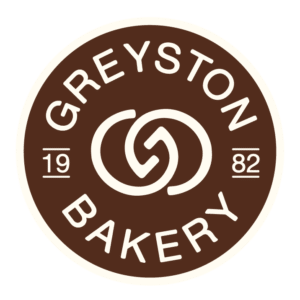 Greyston Bakery is a pioneering social enterprise and world-class bakery that has been providing jobs and resources to individuals who face barriers to employment since 1982. Greyston helps transform lives and break the cycle of poverty and unemployment by welcoming all people into the workforce with zero judgment and full acceptance through its Open Hiring Model. The socially conscious B Corp recognizes it’s now in a strong position to inspire and advance the widespread adoption of its Model, and build a more inclusive community movement through the launch of The Center for Open Hiring at Greyston. While Greyston has seen the success of its Open Hiring Model over the past 36 years, there are still a lot of societal and organizational barriers that stand in the way of more organizations wanting to adopt this more radical approach that would see them potentially employing those formerly incarcerated, illiterate, or refugees and immigrants. Through quality media coverage and thought leadership, Greyston needs to demonstrate the positive impact Open Hiring has on individuals, workplace cultures, bottom-lines, communities and the overall economy in a way that is accessible, understandable, and simple. Greyston has been in the media spotlight for some time, sharing its success story to date. Yulu worked with the Greyston team to develop a new media strategy that would use the launch of The Center as a springboard to demonstrate its legacy while focusing on being forward-thinking and solutions-focused with an emphasis on advancing the wider inclusion movement. Positioning Greyston as a strategic partner to notable organizations, individuals and governments is key, as is positioning Mike Brady, Greyston’s CEO, as a bold advocate for stronger corporate collaboration and accountability when it comes to inclusion commitments. Yulu landed media coverage around the launch of The Center for Open Hiring at Greyston in outlets such as Fast Company, Forbes, Reuters, Mic, Business Insider, Mashable, Al Jazeera and The New York Post. The response to this top tier media coverage was phenomenal: it trended for the entire weekend on FastCo’s social media platforms, the FastCo article was retweeted twice by social media influencer and human activist, Monica Lewinsky, and the coverage saw Greyston inundated with inbound inquiries from the some of the world’s largest and most socially progressive brands, HR consultants, plus other organizations eager to understand and explore more. In addition, Greyston saw its web traffic spike by over 300%, and, following the announcement of The Center, Greyston attracted and secured funding from high profile international philanthropic foundations to advance the adoption of Open Hiring. Yulu continues to work with Greyston to further amplify its leadership in the human capital and inclusion spaces.